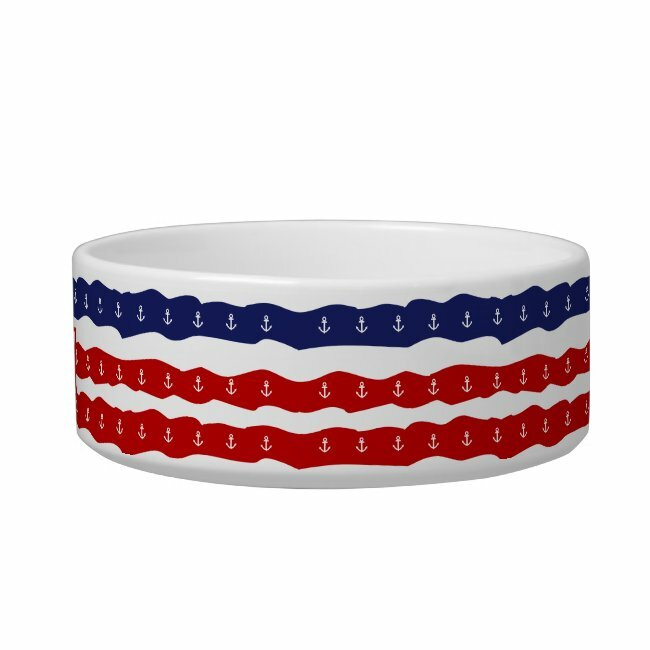 Patriotic Nautical Dog Bowl This ceramic dog or cat dish has small anchors on a red, white, and blue striped background. Add your pet's name to personalize. More dishes at Alina's Pencil.